This portrait is of Governor Joseph E. Brown of Georgia, in 1860. 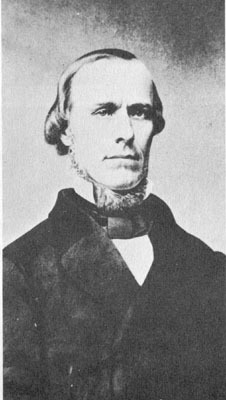 Governor Brown, who served four terms, is most renowned for being the Governor of Georgia during the Civil War. He was in office in 1861 when the Dahlonega Mint struck coins under the auspices of the Confederate States of America. Source: Carter, Samuel III. The Siege of Atlanta, 1864. New York, NY: St. Martin's Press, 1973, unnumbered page following page 157.